A secret rhythm trick to spice up your guitar playing without learning hard chords. One simple way to understand modes and play more creative guitar solos. How to instantly identify the key to any song. 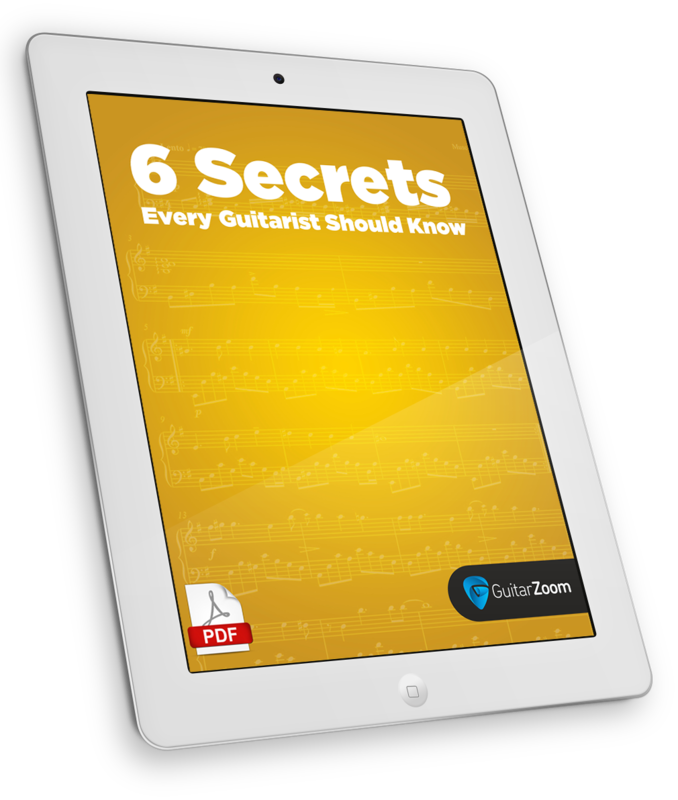 So you know what chords to play without having to look up tabs. 1 impressive rock riff that will “wow” your family and friends.